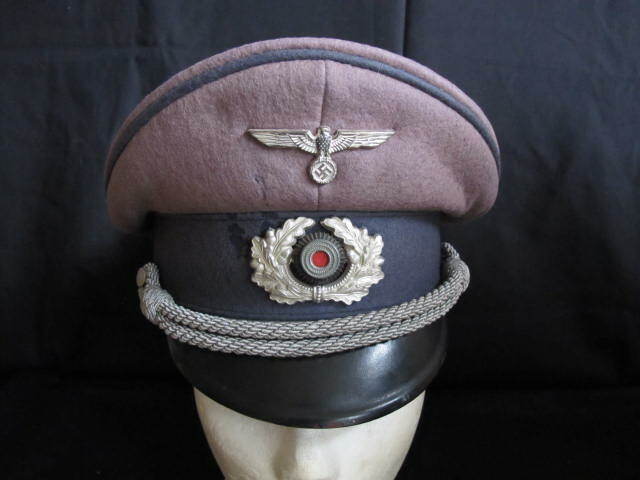 Rare and seldom found Third Reich Officers peaked cap of either The Sonderfuhrer or Army Railways Security Police. 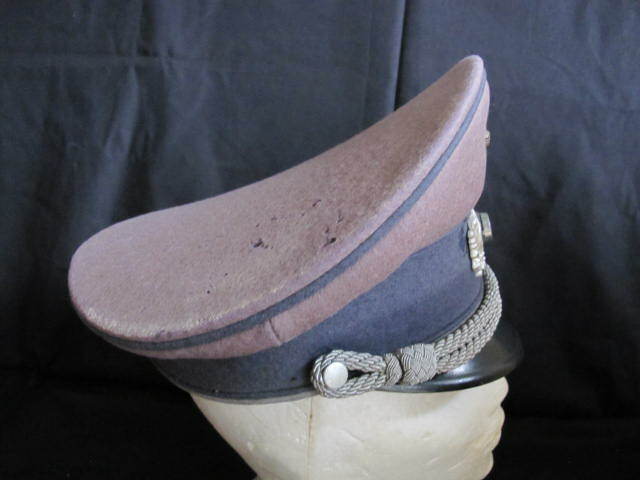 Cap in light brown top with grey/blue band and piping. 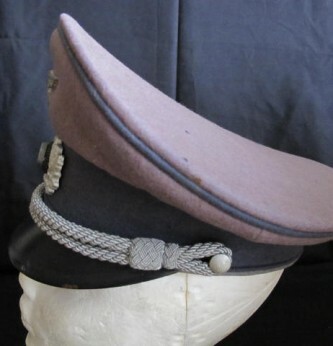 Some minor moth nips to crown of cap and small section of band. 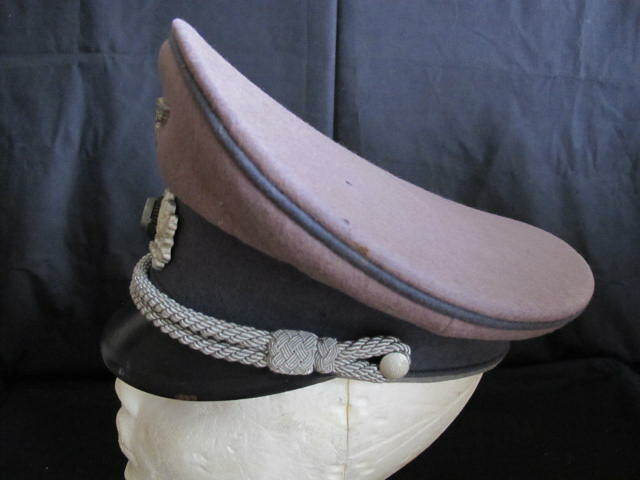 Original metal officers cap insignia retaining much original silver frosting now lightly toned. 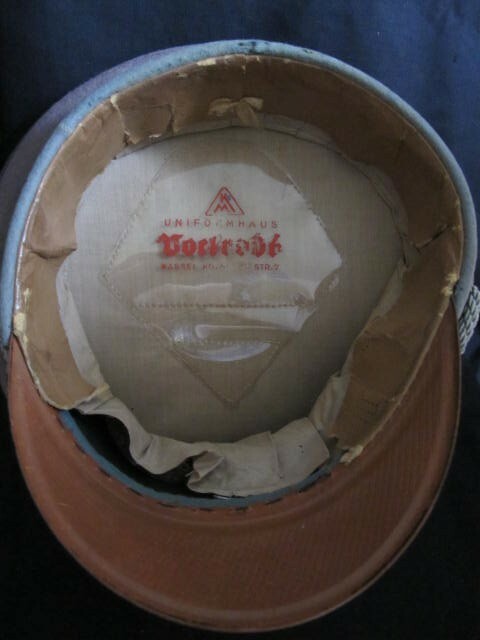 Maker marked diamond to crown of cap with Kassel maker. 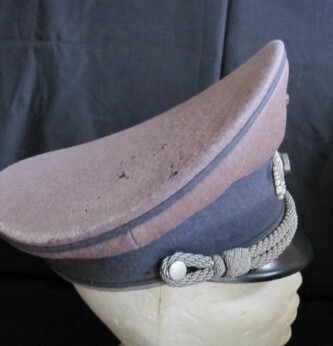 Small section of ersatz style lining band now missing but otherwise nice. 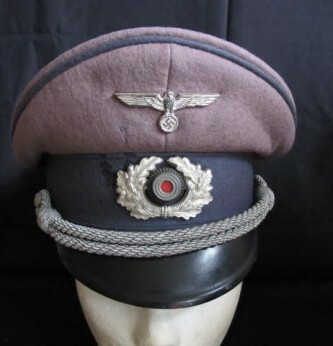 A rare and seldom found colour piped cap. 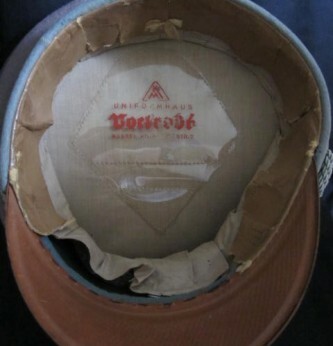 One of only two we have had in over 30 years.